Of course, apologies mean nothing if there is no action to show off the feeling of remorse, and I must say that I am quite impressed with RIM as they announced that they will be making available a selection of premium apps that are worth more than $100 in total for free. These apps will be released to customers in the coming weeks via the BlackBerry App World route, and will be up there for download until the last day of the year. I guess since all work and no play makes Jack a dull boy, it is rather nice to see a fair number of games being made available for free in this effort as well. Just start checking out BlackBerry App World from October 19th onwards for titles such as Sims 3, Bejeweled, N.O.V.A., Texas Holdem Poker 2, Bubble Bash 2, Photo Editor Ultimate, DriveSafe.ly Pro, iSpeech Translator Pro, Drive Safe.ly Enterprise, Nobex Radio Premium, Shazam Encore and Vlingo Plus. Not only that, if you happen to be an enterprise customer of RIM, you will be on the receiving end of a month of free Technical Support. As for current customers, the good news does not end there – as you will be given a complimentary one month extension of your existing Technical Support contract. 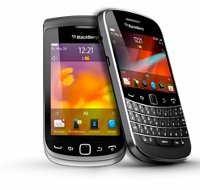 Those who do not have a Technical Support contract will see a one month trial of RIMs BlackBerry Technical Support Services – Enhanced Support being offered – for nothing. Life’s so much sweeter now, ain’t it? free tech support? i dont have a blackberry but if i did i’d be cheesed off with the crappy gift!